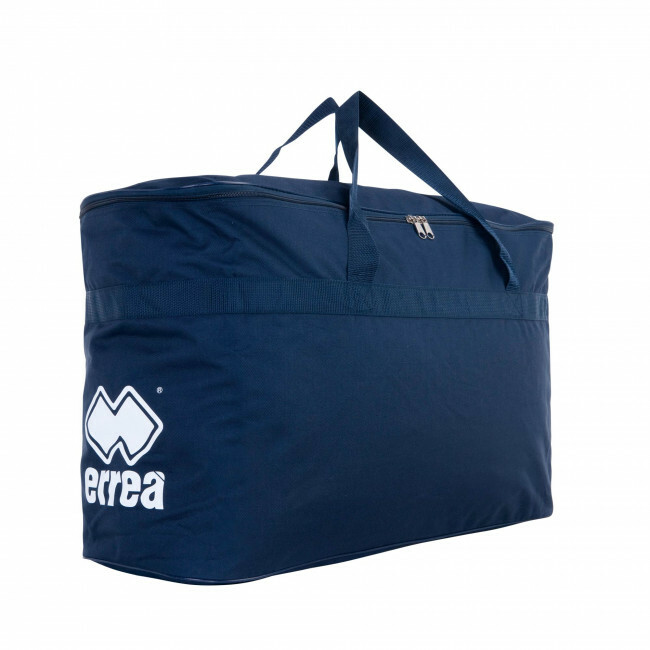 Holdall for team uniforms, made of 600D polyester.Size: 43 cm high, 70 cm deep, 27 cm wide. This holdall is the best solution for major sport teams, as it allows you to carry tracksuits and competition uniforms whenever you travel with your team for away matches. Suitable for any sports activity, it allows you to take along all your team uniforms, without ruining them and keeping them clean. Provided with a sturdy zipper closure on its top and of two practical handles so that you may carry it with you at all times.